There are a whole lot of e-pattern choices available these days. It’s pretty crazy awesome to think that most things you’d want to make are made infinitely easier by the availability of a PDF pattern download. You can buy a pattern, print it out, tape it together, cut it out and sew it up all in one night without having to decide whether to get out of your PJs and go anywhere at all to make it happen. Little Lizard King, a Skirt Week sponsor, is an e-pattern shop with about a thousand options. Or, you know, thereabouts. And among those thousand, there are lots of skirts. We’re thinking the timing on this notice is good– ’cause Friday’s Skirt Week entry deadline is coming up fast! Here are a few delicious picks. Little Lizard King is kindly offering 4 of our 8 winners a $25 gift card to their pattern shop. You’ll also find more on their website and on their Facebook page. If you’re looking for buckets of inspiration shots followed by a pattern that’ll help you make it happen, this is a great place to start! 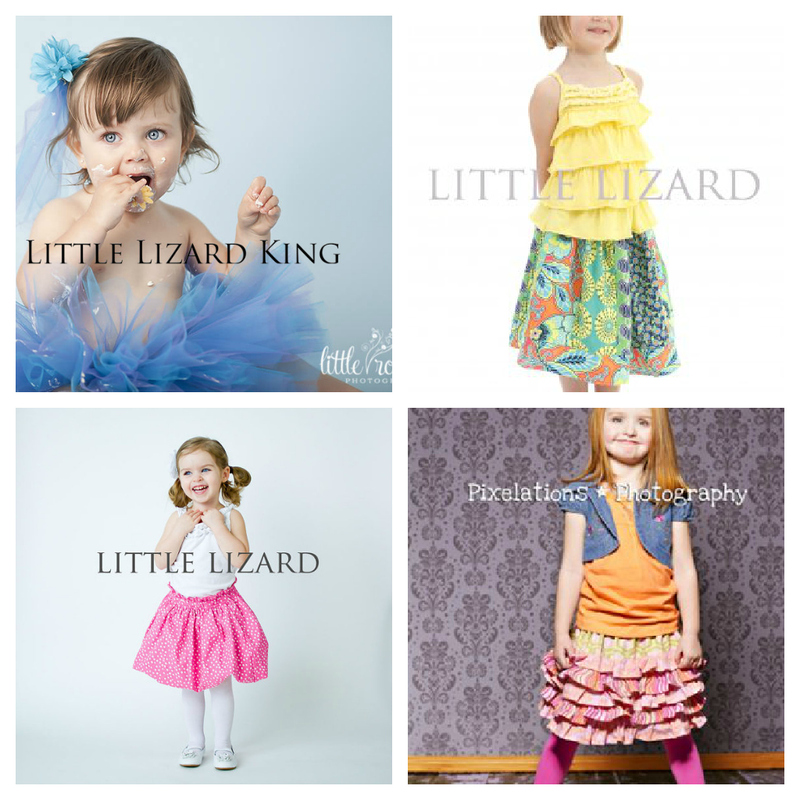 I’ve purchased several patterns from Little Lizard King and loved every single one! I just love love love girly skirts and all things girl…guess that’s why God blessed me with 2 rambunctious crazy boys..great designs from Lizard King!